How to Get Rid of Menstrual Cramps . Menstruation is a natural part of a woman’s life, but painful menstrual cramps are a very annoying problem for many. 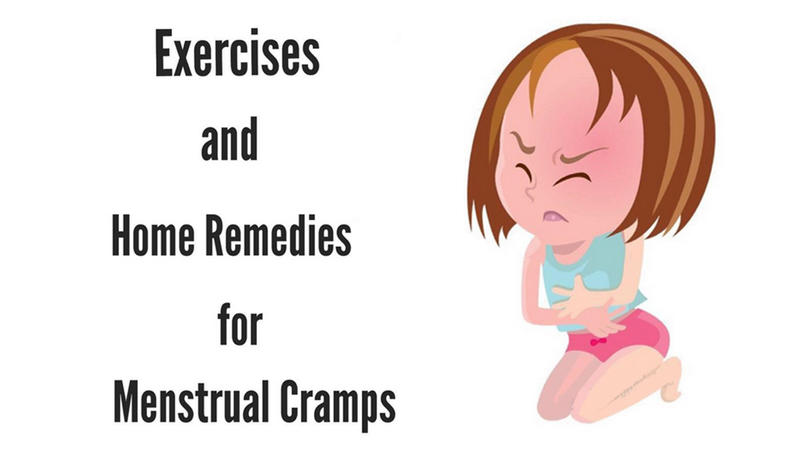 While cramps are rarely a cause for concern, if severe they can disrupt regular activities. Menstrual cramps have been known to occur in the abdomen, the lower back, and, in some cases, the legs. To ease the pain and discomfort, there are several over-the-counter medicines. However, some simple and natural home remedies can be equally effective and relieve symptoms faster. Read on to learn how to get rid of menstrual cramps. Try to avoid caffeine as much as possible. Eat a banana. Bananas contain potassium, which may reduce cramps, as cramps could be due to a potassium deficiency. Use chamomile tea. Chamomile tea has anti-inflammatory and antispasmodic properties that help relax the uterus and ease the spasmodic contractions that cause pain during menstruation. alleviate symptoms of the common cold, the flu, headaches, and menstrual pain. Use basil. Basil is another very effective herb for reducing menstrual pain and cramps. The caffeic acid present in basil has analgesic, or pain-killing properties. Use cinnamon, use parsley, eat papaya, eat flaxseed. .
Do yoga poses. Choose poses that promote relaxation and the stretching of your abdominal muscles. Breathe deeply while you maintain your yoga poses to help you relax your muscles, including your uterine muscles. Shoot for 30 minutes of controlled, medium-intensity aerobic exercise, 3 times a week. Sports, such as soccer or basketball, that involve running. If you think the problem could be serious, have persistent cramping or extremely heavy bleeding, consult a medical professional. Make sure you don’t use the hot water bottle too often though and that the hot water bottle is wrapped up so you don’t burn yourself, you just need to feel the heat, it shouldn’t be painful.